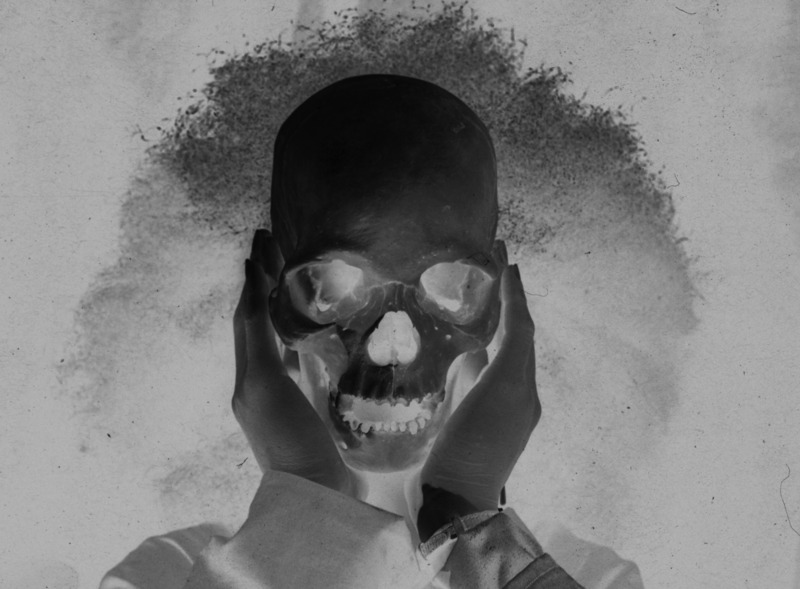 SKELETON is a 40 minute live performance piece by acoustic noise trio SULT and live cinema artist Greg Pope. A darkened room – our cinema cave – our shelter and religion. Ghosts dance in the flame, images are cast and the wood splits. Sound waves and light waves radiate and refract. Skeleton comes to life; a shadow play, acoustic and amplified instruments, synthesized sound and the magic lantern. A dance macabre in four movements. Video extract. June 2015, Museo Nitsch, Napoli (part of Independent Film Show). Video extract.